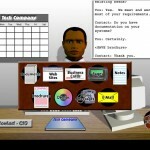 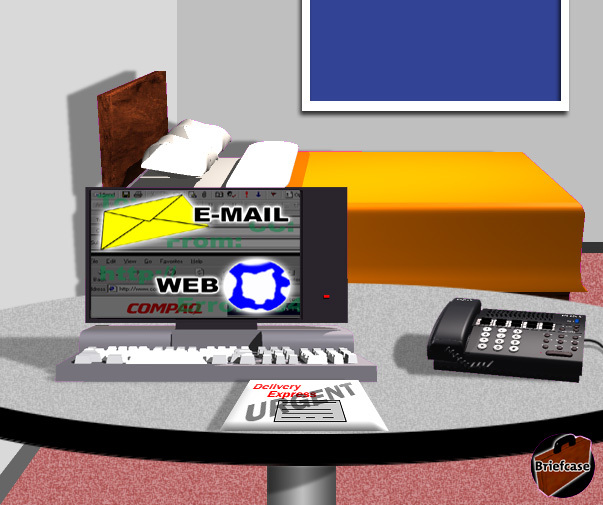 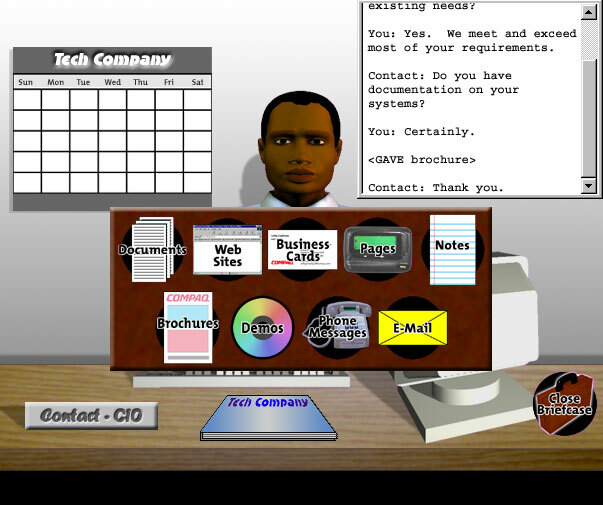 For this project, a game-based Sales Training application for Compaq Computer Corporation, a wide variety of 2D and 3D software including Adobe Photoshop, Ray Dream Studio and Fractal Design Poser, along with digital photography, was used to create the graphics and user interface for a CD-ROM project in HTML format. 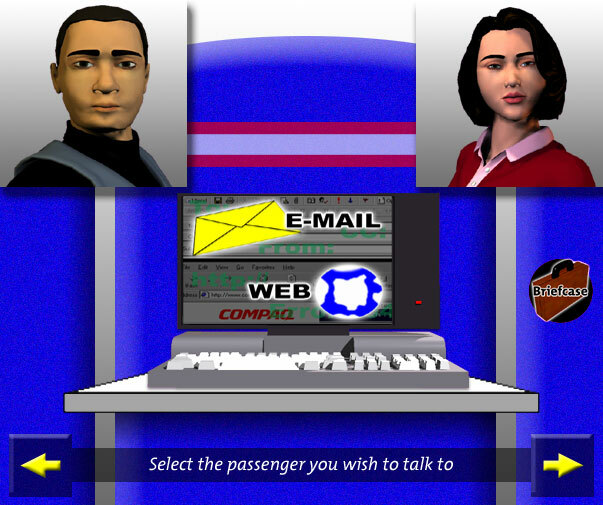 Inspired by the popular PC game Myst, the interface walked trainees through best practices and procedures involving sales for Compaq Computer Corporation. 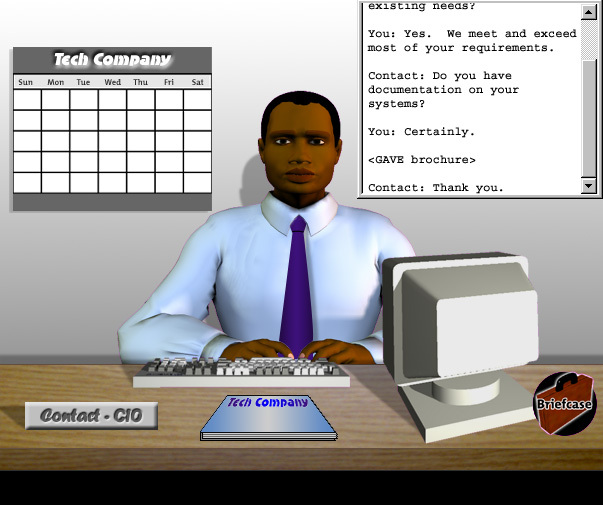 In addition to creation of the interface and all graphics for the project, spearheaded an initiative to pull the team together early on in the project in order to come up with and establish a solid Game Design Document to define the project’s structure and timeline, enabling efficient creation of screens, UI elements and interactivity.